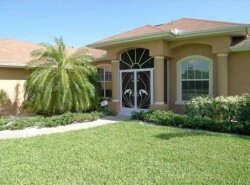 Find a wide selection of single family homes for sale in Punta Gorda, Florida. In the list below you will find everything from the ultimate in luxury to affordable cottages to estate homes with acreage where you can spread out and enjoy your horses and toys. Punta Gorda communities include Deep Creek, Punta Gorda Isles, Burnt Store communities, Charlotte Ranchettes and more. Search for Punta Gorda homes for sale by using the map and options below to see properties for sale and get all the details for homes, condos, and villas in Southwest Florida communities. You can enter your own criteria to find properties, including waterfront homes and pool homes. You should call Your Suncoasteam today for fast, professional assistance with your home search: 941-235-7474 or sales@suncoasteam.com. You will find many waterfront listings of Punta Gorda Homes For Sale. Punta Gorda Isles is a development on the south side of Charlotte Harbor. The Isles has the most extensive canal system in Southwest Florida with wide, seawall canals. The City of Punta Gorda maintains the seawalls and canal system so you won’t run into unexpected expenses if your seawall needs repair or replacement. The canals are dredged to a depth at least six feet and most even deeper. The majority of the canals have no bridges blocking the way to the harbor and gulf so you can have a sailboat or exceptionally large yacht. Even the canals with bridges can accommodate a moderately large boat. In other sections, Punta Gorda homes for sale are not waterfront. However the communities have plenty to offer at reasonable prices, and public boat ramps are available nearby. Punta Gorda homes are a great choice for retirement or seasonal living as well as a permanent residence. The City of Punta Gorda, Florida is quaint and unhurried, unlike other more congested areas of Florida. The choices you have when you consider Punta Gorda homes are endless. There are small, inexpensive homes in the area that can provide a simple, affordable lifestyle. However, if you prefer a luxurious estate, these can be found easily among Punta Gorda homes for sale. Likewise, if you are a fan of water sports, a Punta Gorda home is just right for you. Punta Gorda Isles is the premier community for boaters. If you buy a Punta Gorda home on a PGI canal you will have the best of all worlds. Charlotte Harbor is a beautiful, protected estuary where you can sail, boat and fish. It is among the cleanest waterways in the nation, and your Punta Gorda home will have direct access to this pristine bay. Punta Gorda Isles (PGI) has several sections. In the Bird Section of PGI, the streets are named for different birds. Punta Gorda homes in the bird section are generally newer, as this section was developed later than others closer to Marion Ave. Punta Gorda homes in the bird section developed later due to the time to access the harbor by boat. However, the new canal to Alligator Creek shortens the motoring time to gain access to the harbor and gulf, adding to the value of Punta Gorda homes in the bird section. The northern section of PGI, north of Marion Ave, was the earliest section to be developed with Punta Gorda homes. This is closest to Charlotte Harbor and to downtown Punta Gorda restaurants and shops. However, prices for Punta Gorda homes remain strong in this section due to the very fast access to open water. The west section of PGI, especially west of Coronado Drive, is another section where Punta Gorda homes prices remain very strong. Access to open water is gained near Ponce De Leon park. Most Punta Gorda homes are at least three bedroom homes, many with swimming pools. It seems that when people move to Florida they think of fun in the sun. They want to have a home where they can entertain friends and family. That often means that buyers prefer Punta Gorda homes with swimming pools on the lanai overlooking the canal.